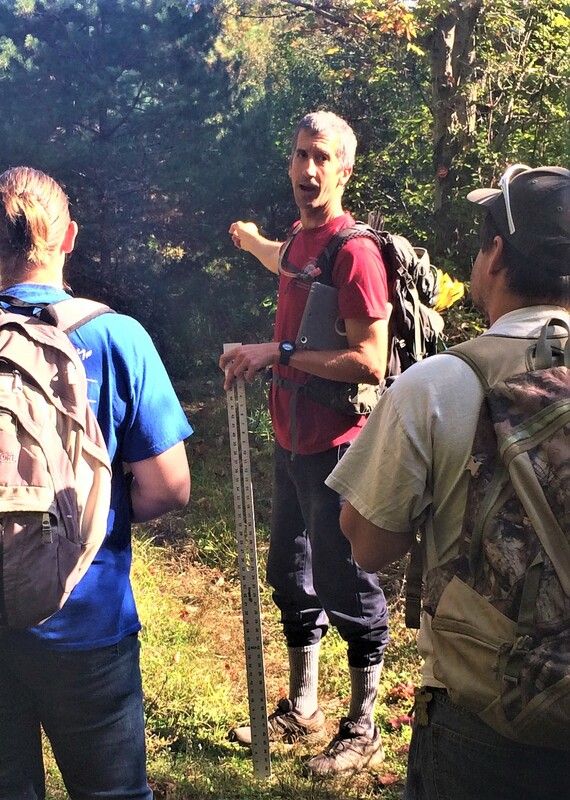 Join us on a guided hike to learn about the art and science of trailbuilding! Even beginners can learn to see trails through the "eyes of a trailbuilder" in this guided hike. As we walk, we'll discuss how to recognize erosion, spot wet areas (even in dry weather), look at trail grade with a critical eye, identify potential re-routes, weigh the pros and cons of trail structures, and much more. We'll also brainstorm solutions to the problems we encounter using modern trailbuilding best practices. Whether you're a casual hiker looking to learn about what goes into the art and science of trailbuilding, or a volunteer looking to learn new skills to put to use, we look forward to sharing the "eyes of a trailbuilder" with you! And don't forget to sign up for the upcoming Eyes of a Trailbuilder - Project, which will give you the opportunity to return to the site of your hike and work alongside experienced trailbuilders to fix one of the problems identified.